MARI LUZ CORTES : LIST OF MCCANN VICTIMS: Mariluz: No forensic evidence linked to the accused. 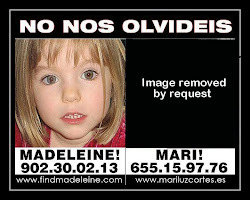 “It is shameful that Mari Luz’s father has brought himself to complain,” was the reaction of Clarence Mitchell, the spokesman for the McCann couple, in response to the request from Juan Jose Cortés that the posters with the photo of his daughter beside Madeleine should not be distributed. Mariluz: No forensic evidence linked to the accused. Forensic police involved in the Mari Luz Cortés case have said in court that they found no forensic evidence in their analyses linking the victim with the two suspects who are on trial for her murder, Santiago del Valle and his sister Rosa.They said the only faint possibility are two fragments of hair, one found on Mari Luz’s body and the other in the boot of Rosa del Valle’s car, which analysis showed to be of the same type. They could be from the same person, but it’s understood the possibility is one in 6,000. What is known is that they do not belong to either of the del Valle’s or any of their maternal family, nor to Isabel García, Santiago del Valle’s wife, or to Mari Luz or any of her maternal family. 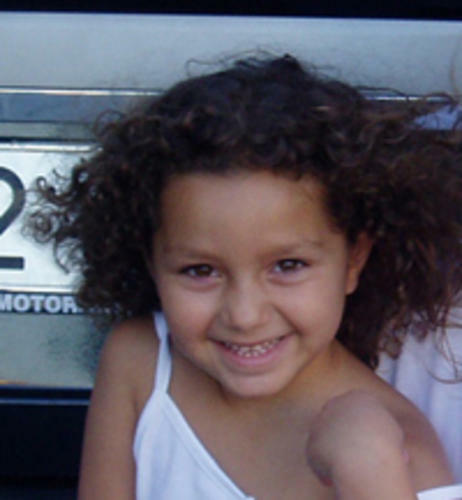 Police experts in chemical analyses described evidence in Rosa del Valle’s car as non-conclusive, and said there was nothing in their detailed inspection of a shopping cart believed to have been used to transport Mari Luz to show that she had been there. The boots Santiago del Valle wore on the day the youngster disappeared also proved difficult in providing samples and were described as ‘extremely clean’, Canal Sur reports. Entomology analysis of insects recovered from Mari Luz’s body failed to determine the place or date of death. It’s understood that Mari Luz’s father, Juan José Cortés, will be called to declare in court on Friday, but El Mundo reports that he plans to ask for that to be cancelled as he doesn’t want to be in the position of having to see those accused of his daughter’s murder. LISA IRWIN - CAYLEE ANTHONY - HALEIGH CUMMINS - MADDIE MCCANN - ALL FAKED ABDUCTIONS ! RAYMOND HEWLETT - BACK IN THE FRAME ? Juan Cortes...Victim turned activist ?